What would you like to be when you grow up? 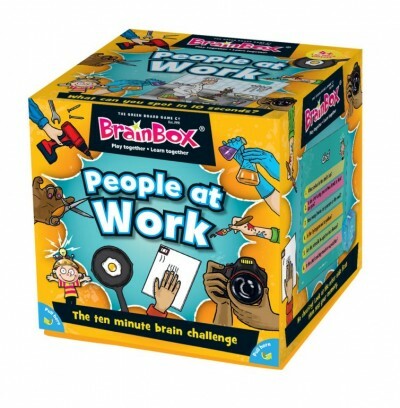 This brilliant BrainBox introduces young children to a whole range of exciting possibilities. Designed for parents to play with their children, this great game will help improve observation and memory skills. From an actor to an astronaut, a doctor to a designer, a firefighter to a footballer, the world of work has never been such fun! If the question is answered correctly, the card is kept, and the person with the most number of cards after 5 or 10 minutes is the winner.